“The Good Wife” spinoff series at CBS All Access finally has a real title as production begins in New York. 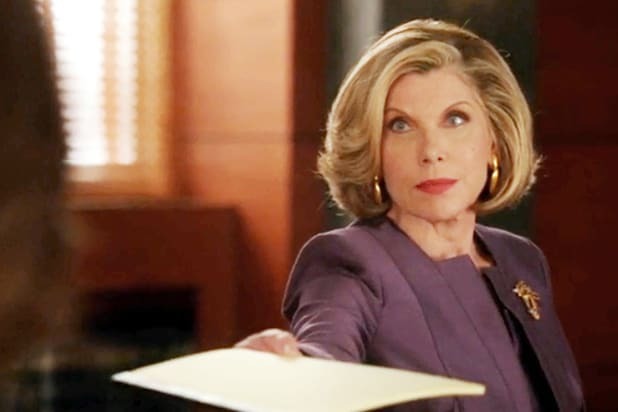 The new show starring original series mainstays Christine Baranski as Diane Lockhart and Cush Jumbo as Lucca Quinn will henceforth be known as “The Good Fight.” Wonder where they got the idea for that? The new series will pick up one year after the events of the final episode of “The Good Wife.” In the series, an enormous financial scam has destroyed the reputation of a young lawyer, Maia, while simultaneously wiping out mentor Diane Lockhart’s savings. Forced out of Lockhart & Lee, they join Lucca Quinn at one of Chicago’s pre-eminent law firms. Rose Leslie, Delroy Lindo, Sarah Steele, Paul Guilfoyle, Bernadette Peters and Erica Tazel will also appear in the new show. Robert and Michelle King, who created the original series, will serve as the showrunners and executive producers. Phil Alden Robinson co-wrote and will executive produce the premiere episode along with the Kings. Ridley Scott, David Zucker, Liz Glotzer, Brooke Kennedy and Alison Cross also serve as executive producers. The series is produced by CBS Television Studios in association with Scott Free Productions and King Size Productions. “The Good Fight” will debut in February with the premiere airing on CBS before moving exclusively to CBS All Access, the network’s streaming service.